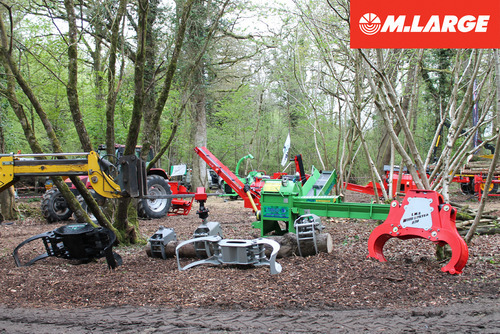 The team at M.Large set out for Stradbally, Laois for the Irish Forestry Woodland & Bio Energy show 2013. Arriving a day before the show, the boys were directed to our designated show space in the Woodland area. On first look, it took a little imagination to visualise the setting but a days hard grafting with our own team and the helpful Clarke Cunningham lads, made our rough n ready corner site into something of a Disneyland for forestry fans. The show was a big deal for us and a lot of preparation went into making a good show for our visitors. So for those who didn‚Äôt get to the event, here‚Äôs what we were showing. 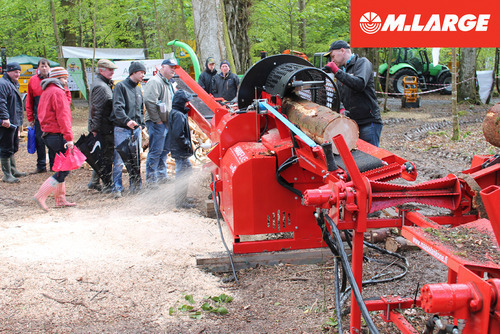 All in all we were very pleased with the footfall, the atmosphere and the interest shown in our site and our machines and we were even more pleased to get word from the Show Director that we had been awarded ‚ÄúBest Commercial Stand‚Äù at the end of the event. We put a selection of photos up of the stand and how everything looked up on the blog. Click on the image below to see more show photos. FEATURED: LMS WOODBUSTER 870 WORLD OF WOOD: WHEN IS A DUMPER NOT A DUMPER?